All New-2020 Land Rover Range Rover Evoque SE Santorini Black AWD 9-Speed Automatic I4Leather Seats, Sunroof/Moonroof, Backup Camera, Navigation System, Bluetooth, 380W Meridian Sound System, Adaptive Cruise Control w/Stop & Go, Blind Spot Assist, Drive Pack, Ebony Headlining, High-Speed Emergency Braking, Wheels: 20'' 5 Split-Spoke (Style 5076).Located at Land Rover Rocklin! For more information, Call us at 916-632-3231, email us at landrover.Dssales@niello.com or find us online at landrover.niello.com.The Niello name has been a name that you can trust in California since 1921. Our family began by selling Packard cars in San Francisco over 90 years ago, and though some brands have come and gone, we are still going strong today. That's because we believe in putting the needs of our customers first. When you come to one of our dealerships, we want you to feel right at home. With our Rocklin Land Rover dealership, we can serve all of the surrounding areas including Roseville, Folsom, Lake Tahoe, and countless other communities. Welcome to Land Rover Rocklin, we know that you will enjoy your visit. All New Model2020 Land Rover Range Rover Evoque First Edition Nolita Grey AWD 9-Speed Automatic I4Leather Seats, Sunroof/Moonroof, Backup Camera, Navigation System, Bluetooth, Adaptive Dynamics, 21'' Style 5078, 5 Split-Spoke, Gloss Silver, Configurable Dynamics, Car Care Kit, Rear Seat Convenience Pack, Interior Protection and Storage pack, Wheel Protection Pack Chrome Locks.Located at Land Rover Rocklin! 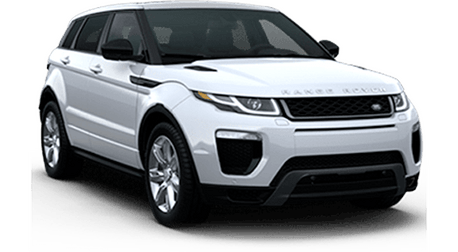 For more information, Call us at 916-632-3231, email us at landrover.Dssales@niello.com or find us online at landrover.niello.com.The Niello name has been a name that you can trust in California since 1921. Our family began by selling Packard cars in San Francisco over 90 years ago, and though some brands have come and gone, we are still going strong today. Thatâ€™s because we believe in putting the needs of our customers first. When you come to one of our dealerships, we want you to feel right at home. With our Rocklin Land Rover dealership, we can serve all of the surrounding areas including Roseville, Folsom, Lake Tahoe, and countless other communities. Welcome to Land Rover Rocklin, we know that you will enjoy your visit.